Welcome to one of Portland's most unique beer events! 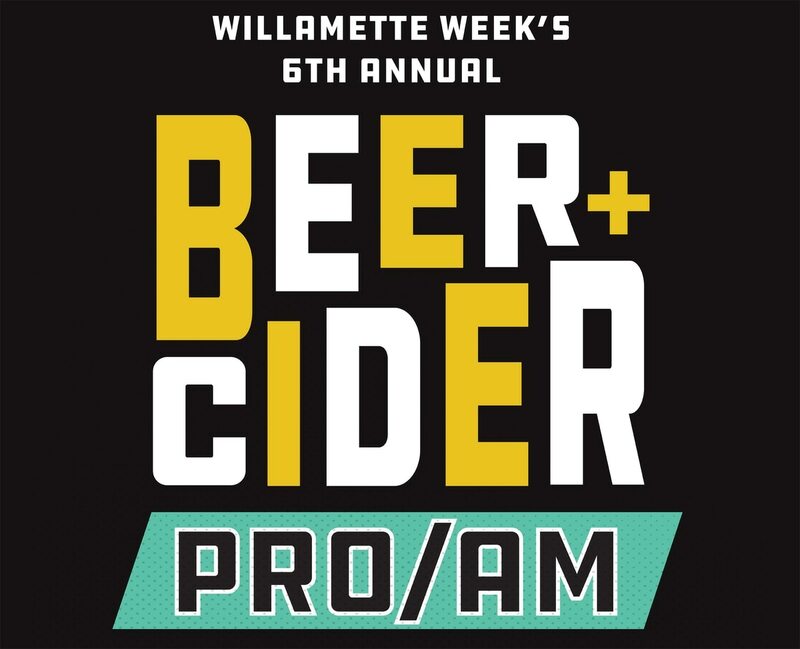 Willamette Week is proud to present Portland's original home brewer and professional brewer collaboration event. Since its start in 2013, when 11 brewer teams competed in the first Pro/Am in an empty Slabtown warehouse (now the home of New Seasons market), this event has evolved into "the most unique beer festival of the year" that is "unlike other beer fests that feel too big or too generic," (Brewvana, 2015). This year, under the expansive roof of Leftbank Annex, 30 home brewers partner with established pro brewers to create and debut 24 brand new beers and six ciders. 600 guests may taste all the new brews and vote for their favorite, no tokens, no tickets, no huge lines. A portion of each ticket goes to Oregon Wild which helps protect and restore our wildlands, wildlife, and waters as an enduring legacy for future generations. Noon (VIP Entry) / 1 p.m. (GA Entry) – 6:00 p.m.
Beer, Cider, Music. Games. Food. Fun. ENTRY 1:00 p.m. – 6:00 p.m. Designated Driver / Non-Drinker $10 – ENTRY 12:00 p.m. – 6:00 p.m.
Kristen Walters with Alameda Brewing Co.
Roxanne Kilpatrick with Portland Cider Co.